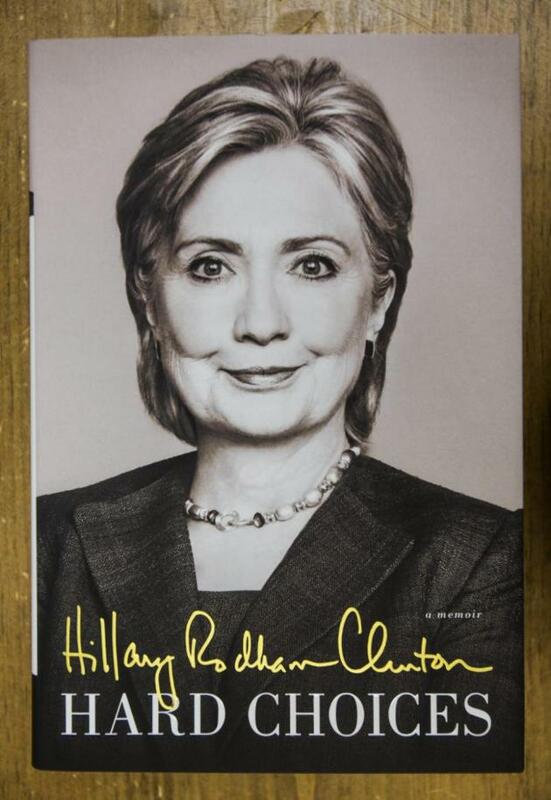 Former first lady Hillary Rodham Clinton will sign copies of her new book, "Hard Choices," at Common Good Books in St. Paul on Sunday, July 20. She will be there for two hours, from 2:15-4:15 p.m., and will autograph up to 1,000 books. Five hundred books an hour? "She can do it. She's been practicing," said Common Good Books events manager David Enyeart. "Hard Choices" is a memoir about Clinton's years as secretary of state under President Barack Obama, and it has been on the New York Times bestseller list. Because of the short time-frame, tickets are available in person only--no phone or Internet orders--beginning Saturday, July 12, at Common Good Books, 38 S. Snelling Av., St. Paul. The store will be closed to other business on the day of Clinton's appearance. ABC News has gathered clips of "surprising moments" from Clinton's book tour, including encounters with Katy Perry and a Republican squirrel, which you can watch here.